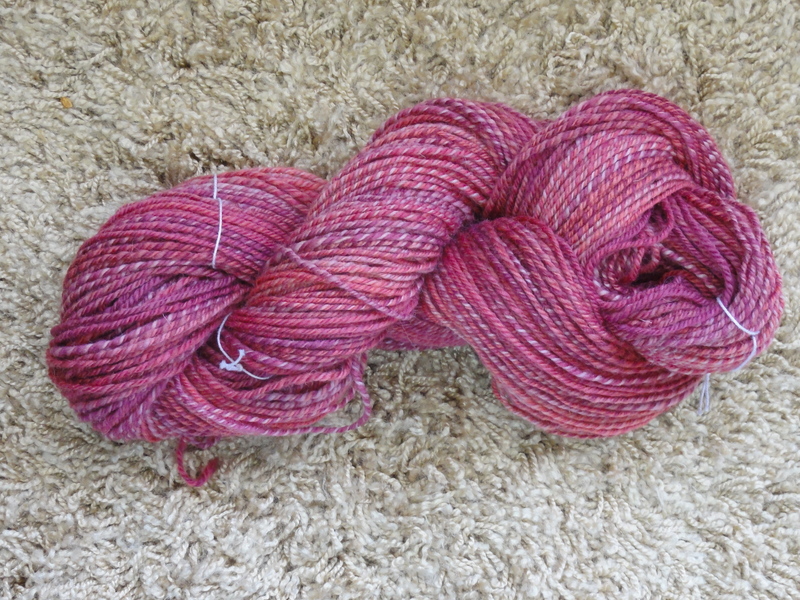 is now approximately 204 yards of lovely 3-ply worsted-weight yarn. 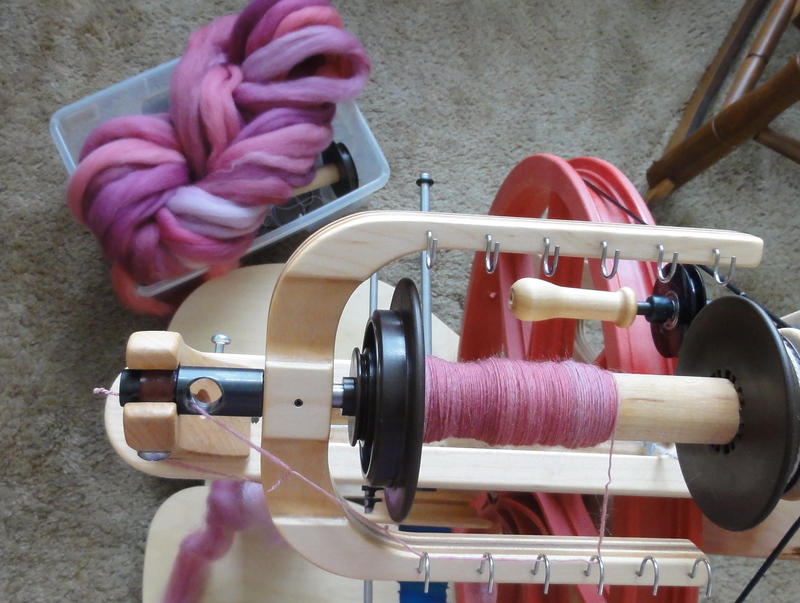 I spun 3 bobbins of singles on my Schacht Ladybug spinning wheel, and plied them on the same wheel. I’m thinking a hat. What do you think? This entry was posted in Spinning and tagged 3-ply handspun yarn, FO Friday, handspun yarn, Schacht Ladybug spinning wheel, Sunset Fibers. Bookmark the permalink. I simply think it’s wonderful. 😀 Whatever you make with it. A scarf would also be great! Thanks, Julia. A cowl is another possibility I’m considering, but I don’t know whether 204 yards would be enough for a scarf. It would be about 186 meters. New knitting/dying and currently waiting for my drop spindle to try! hope one day I will do so nicely as you!! !